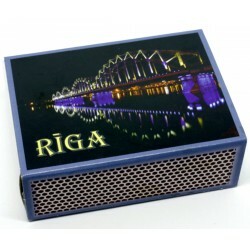 Latvian Matchboxes There are 4 products. Latvian Matchbox with a label in a good condition. ( used) Circa 2001ies of 21th centure.Consistent with its age, Please see scans! Text - "Vienkārši vislabākais Karsten". 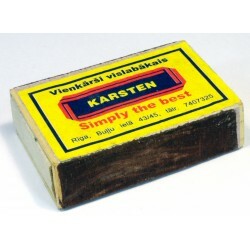 (simply the best Karsten) Dimensions – apprx. 55 mm x 36 mm x 14 mm. 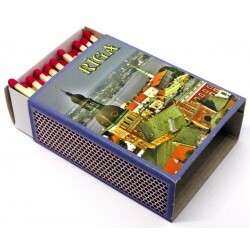 Latvian Matchbox - series of Riga view with a label in a good condition. ( used) Circa 2010ies of 21th centure.Consistent with its age, Please see scans! Text - "Riga". (the view of the old Riga) Dimensions – apprx. 71 mm x 52 mm x 24 mm.